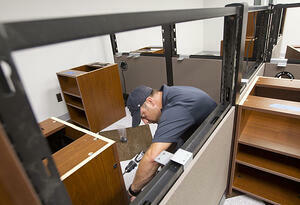 One-on-One Pre-Installation Review: Furniture installation can be a very stressful process. But it doesn’t have to be. Custom manufacturers often provide one-on-one pre-installation reviews, during which you can go over specific details and discuss any questions you may have prior to installation. During this time, it’s imperative to review any specific items that are being custom-made for the room. 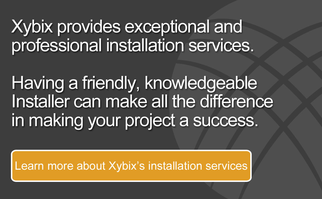 This can help ensure that the installation process is quick and seamless. Last-Minute Needs: As you go from budget to design to installation, there are many things that you will need to consider. It’s easy to let some items slip through the cracks. But don’t worry; a good custom furniture provider can always take care of those last-minute needs. Added Extras: During installation, many people realize that they may want an extra light, fan, heater or even an extra cabinet. A custom-furniture manufacturer will say, “Don’t worry, it’s not too late!” Getting everything that you need to do your job is imperative to accomplishing the tasks at hand. A true custom-furniture provider will make sure you’re completely taken care of. Personal Approach: A custom-furniture manufacturer will take a personal approach to every job. For example, quoting additional items quickly and shipping them directly to the site while installation is in progress can save time, money and man hours. Seek a manufacturer that will work with you every step of the way to ensure that your project (and your new furniture) is a resounding success. Custom Designs/Colors: You’ll want to do business with a manufacturer who can design almost the entire product in-house, which gives them the ability to provide custom sizes, shapes and even colors. So don't hesitate to ask questions! Talk to your salesperson, designer or installer to discuss all your customization choices. When looking for a custom-furniture manufacturer, take the time to determine what type of service, selection and value you are looking for. Seek out providers who can design and build exceptional dispatch consoles and are happy to hear your ideas and input. Not only will your customized furniture create a more modern and safe environment, it will allow your dispatchers to be alert and attentive to any task they come across.